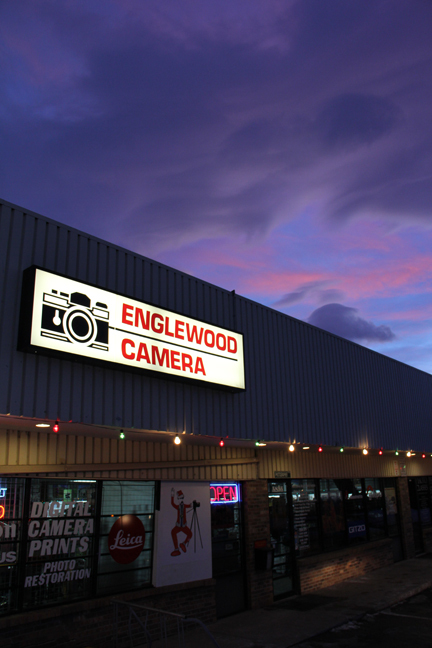 Englewood Camera is the go-to store for photographic equipment, accessories, and used camera equipment in the Denver-metro area. Founded more than 60 years ago, Englewood Camera is proud to bring you everything photographic. Popular brands that we carry include Canon, Fujifilm, Leica, Olympus, and Sony; Tamron and Tokina lenses; Crumpler, Domke, Lowepro, and Tamrac camera bags; Cokin, Heliopan, Hoya, and Kenko filters; Hoodman and SanDisk memory cards, and many others! Englewood Camera specializes in new and used photo equipment! Check out a great selection of used Canon, Nikon, Fuji, Leica, Olympus, Hasselblad, Pentax, Minolta, Sony, Mamiya, and more! All of our used camera gear comes with a 6-month warranty, so you can feel confident about your used purchase. In addition, Englewood Camera is one of the last Colorado businesses carrying film equipment, including used 35mm cameras, film, and darkroom supplies. If you’ve never visited our Littleton, CO location, be prepared to be pleasantly surprised!